The Commission refused to comment Tuesday (13 December) on an explosive Finnish media report that President Jean-Claude Juncker regards some of his colleagues as so boring they are effectively “walking sleeping pills”. 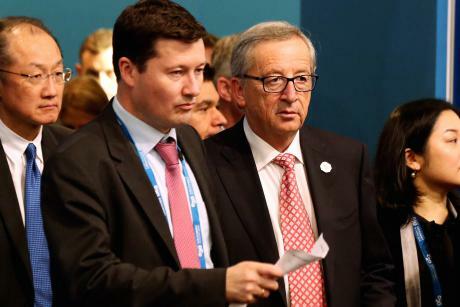 The report, published in the Helsingin Sandomat by Brussels correspondent Pekka Mykkanen, was ostensibly a profile portrait of Juncker’s chief of staff, Martin Selmayr. Quizzed on the unusually outspoken alleged outburst at Tuesday’s regular midday press briefing, spokesman Alexander Winterstein said merely that Juncker had “full confidence” in all his Commissioners. The spokesman also turned down the opportunity to list which of the 28 might be so described. Asked separately by euractiv.com if it was true that – as according to the profile – Juncker’s abrasive chief of staff Selmayr had “no friends” in the Commission, the spokesman merely repeated that answers on speculative press reports were not commented upon.
.@MattTempest asks Commission if Selmayr has any friends. We don't comment on newspaper reports, executive replies. Poor Martin. Selmayr, a 46 year old German lawyer, is widely seen as more powerful than many of the low-profile Commissioners and, as gatekeeper to access to Juncker himself, in possession of much-unwritten power. He seldom makes public appearances, but did appear before journalists in the early hours of the morning of the first summit after the Brexit vote in June, holding court with a series of highly-detailed, highly-polished and aggressive rapid-fire answers. In the Finnish story, Selmayr is cited as saying that “Juncker has no time for mediocrity. He may shout at Commissioners if he finds out that they have not done their homework. A previous Politico profile of Juncker earlier this year quoted outgoing Budget Commissioner Kristalina Georgieva as calling the atmosphere around the Juncker/Selmayr axis as “poisonous”. She later denied making those comments, although Politico stands by its story. Selmayr, in the Helsingin Sandomat story, described the American news outlet as a “gossip paper”.